UIU File 2014-014: Case File "Metaphysical Shark Terrorism"
Summary: Entity resembles a metaphysical shadow of a basking shark, and possesses a conceptuvorous diet. Formerly active within the Three Portlands after creation by the Associates of Apotheosis. First appeared at a quarry in Jurassic District, where it caused the deaths of workers and damaged expensive paratechnology. Continued activity in different areas of the city until capture. Physical Description: The entity is a metaphysical shadow in the shape of Cetorhinus maximus, appearing to be a black silhouette. Male 26' N/A, large N/A N/A Dark blue. A three-dimensional shadow of a basking shark, able to travel through air. Capabilities: It is capable of filter-feeding concepts from a particular area, as well as being able to 'swim' through solid objects. Eaten concepts will disappear within the area and will reappear two hours later. For example, if the concept of steel is eaten, all steel (and variations of it) in the area will disappear. Any steel will have an outline around where it would be. Modus Operandi: The entity moves through space and consumes a concept within a spherical region (radius of 23') around its mouth. A trail of space without the concept will be left behind it as it moves. Behavior: Behaves in a docile manner, similar to normal basking sharks. The mouth will be open for the feeding process, and will close prior to leaving the area. The entity will pass into a solid object larger than itself and vanish. Piece of rebar: An eight foot piece of rebar formerly part of the Lee Van Cleef Memorial Overpass, which had been consumed by the entity. Object is notable for being only consumed sample with incomplete ability to maintain full conceptual constancy; it fluctuates between a consumed state and a normal one, oftentimes losing part of its concept. The exterior of the Valley Valle Cinema shortly after manifestation of shark. Photo taken July 15, 2015, when theatre was paying host to 250 customers. Piece of temporal limestone: Chunk of an increasingly popular building material in the Three Portlands, still containing living, anomalous examples of the prehistoric corals and mollusks whose shells make up limestone deposits. Mined in quarries within the Jurassic neighborhood, where the Three Portlands are closest to the Isle of Portland. This piece originates in Quarry 17, owned by the Inditech Construction Company, where the entity made its first appearance. It was blown from the rock wall by the collapsing concept vacuum. Unknown Conceptual Paratechnology: A piece of handmade paratechnology used to alter metaphysical properties. It is constructed from a handheld Kant counter, a reality measuring device used by the SCP Foundation. It has been heavily modified with paratechnology identified as having been stolen from a variety of firms including Inditech, GRENadINES Inc. and the former Prometheus Labs. Object's central chamber contains multiple abstract-metaphysical construct pointers1 and at least one property editor tool. The object was formerly in the possession of the Associates of Apotheosis (hereafter AoA), a terrorist organization/cult active within the Three Portlands since the early 1980s, and associated with similar incidents. It is unknown how the device is operated, and is under active research. Current Status: Entity is currently held in a modified tank at the Portlands Aquarium, a popular tourist destination in the Teal District. The tank is constructed of Conceptually Null Clearsolid (CNC)2 and contains a variable water level depending on the entity's needs. Various complex security systems prevent the entrance of unauthorized entities or materials into the tank. Metaphysical marine biologists are working with the UIU to determine the state of the entity, as its condition is believed to be artificially induced by AoA members for use as a weapon. Entity shows moderate to severe signs of stress at all times because of its condition. Crimes: AoA members charged with criminal manipulation of metaphysical and conceptual properties, animal abuse, intentional property damage, grand theft, larceny, multiple counts of first degree murder, and terrorism. 8/27/1982: The AoA is founded as a religious club for those interested in metahumanism by J. Landecker Smith, a charismatic performance anartist known both for his street art with animals and a history of mental illness, and Ronald Kahn, a metaphysical engineer employed at Prometheus Labs. The central goal of the group is to reach a state of "concept providence" or "conceptual singularity," which are considered godhood. Membership includes various scientists, anartists, transhumanists, and at least one nonhuman citizen. UIU monitoring of the AoA begins at this time. 3/02/1987: AoA members release 700 metaphysically altered frogs designed as insect-based conceptuvores. Frogs also had anomalous surgery performed on the thyroid, increasing appetite capacity and decreasing energy expenditure. As such, all insects in a thirty block radius were rendered conceptually null. Cleanup lasts seven months. AoA members first brought to UIU attention and imprisoned for two years. No major activity until release of the shark. Refer to File 1987-005 for further information. 5/17/2014: At 1:09 PM the shark manifests within Quarry 3, owned by the Inditech Construction Company in the Jurassic District. Based on an intercepted phone call from quarry worker Shufen Chen to the Three Portlands Police, workers displayed confusion at the appearance and began working less. Panic spread when the entity opened its mouth and began eating the concept of air, causing multiple deaths from asphyxiation. The call ended at 1:14 PM, at which time police and UIU agents were dispatched to the location. Additional officers were sent to barricade entrances to the quarry. On arrival at 1:32 PM the entity was circling the area, continuing to consume more air. Officers opened fire as the shark approached them, following with it moving into the ground and disappearing. Air in the consumed regions returned at 3:15 PM. All 22 workers within the quarry died from asphyxiation. Paratechnology used in the mining and storage of temporal limestone was heavily damaged from the creation of a vacuum and later change to normal air. The temporal limestone had also caused damage to machinery from the lack of workers to properly and safely store it. 7/15/2015: At 8:47 PM the shark manifests inside the Valley Valle Thaumaturgic Shopping Center located at 2317 Ukelele Drive. Entity consumed the concept of motion pictures within the Valley Valle Cinema, exited the building, and consumed the concept of summer before moving into a bus. The landscape took on a winter appearance, complete with cold temperatures and dead flora, for an hour. The interior of the Valley Valle cinema lost all screens, concessions and patrons for close to two hours. All concepts returned at 10:40 PM. 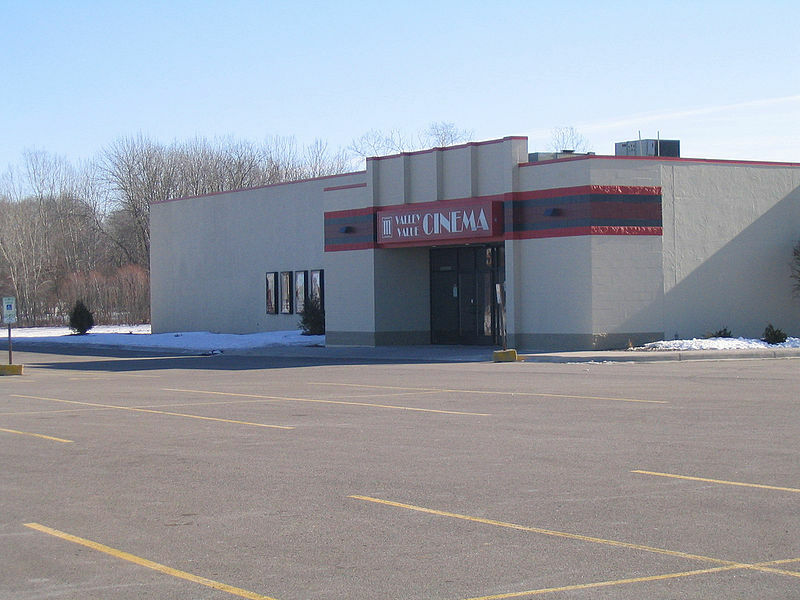 Patrons of the Valley Valle cinema were left permanently unable to recognize the concept of a movie, but were otherwise unharmed. 3/12/2016: At 6:51 AM the shark manifests at the Lee Van Cleef Memorial Overpass, located next to the Trinity House Obelix Shadow in the Breakwater District. The concepts of concrete and rebar were eaten for an hour, causing a majority of the bridge to be lost until 8:50 AM. Trams and auto-rickshaws on the road fell through the bridge to the ground, causing approximately 79 deaths and 28 injuries. Multiple demonic entities were released from several destroyed and damaged devices, resulting in three cases of reanimation, one case of human possession, and two cases of technology possession. Three Portlands Police, High Risk Force, UIU agents, and specialists from multiple paratech fields were dispatched. While the bridge's consumption caused no permanent damage to it, multiple broken auto-rickshaws that had landed under it became fused with support pillars when it reformed. This caused structural damage to the bridge, which forced a two month closure of the overpass and roads below it to perform repairs. Vehicle parts and body parts were removed from the pillars during this. It is unknown whether the subjects the body parts belonged to had died prior to the bridge reappearing or during it. 8/7/2017: The shark manifests at Phoenix Park in the Teal District at 1:32 PM. Civilians are initially intrigued until it begins eating concepts related to Astral Ice, a company that sells flavors of ice cream made through anomalous means. Astral Ice stands, products, and workers vanish, resulting in civilian panic. UIU agents and police arrive at 1:51 PM and evacuate civilians, along with remaining Astral Ice workers. A minute after the entity moves into the ground and leaves. All affected concepts returned at 3:40. Affected Astral Ice workers are permanently unable to perceive Astral Ice's Eurtec Stars flavor ice cream. 10/20/2017: At 8:01 PM the entity appears outside of the Portlands Bank in the Teal District, and begins to consume the concept of thaumaturgy. Thaumaturgic technology and bank security systems shut down, causing an immediate alert to be sent to police forces. UIU agents and police arrived at 8:23 to monitor the entity and prevent further breaches of bank security. Roads were shut down and cleared to transport a specialized detainment container to trap the entity. Upon the container arriving at 8:49 PM the shark rapidly moves from outside the bank into it. CNC Barriers fold around the container, trapping it in a water tank. The container is then transferred to the UIU Teal Facility for temporary detainment. 10/30/2017: The shark is transferred to a specialized tank in the Portlands Aquarium for improved detainment and care. UIU agents are assigned to protect the aquarium and to assist in research of the entity. 11/5/2017: Four members of the AoA break into the Portlands Aquarium after hours at 8:00 PM, and attempt to destroy the CNC tank and free the entity. Security camera footage shows that this initially fails, resulting in one of the members, Chris Standing Rock, trying to pass through the CNC plates to open the feeding hatch at the top of the tank from the inside. The properties of the CNC neutralize his concept and he undergoes variable construct emesis and dies. At this point security guards have alerted High Risk Force police and, due to the sensitive nature of the irregularity, UIU agents to detain the AoA burglars. Arriving officers and agents cordon off reporters and Anderson Robotics Video Drones trying to view. Special Forces UIU agents lead the way into the building, followed by the High Risk Force officers and regular UIU agents. The three remaining members of the AoA are discovered to have edited their own metaphysical properties prior to the break-in (using the as-then unknown device) in order to match the strength of the arriving officers. Seven agents are flung aside by AoA member Rosalita Polanco-G'haart into a tank of elf octopus, which quickly eat them. Agent Branks engages in hand-to-hand-combat with AoA founder J. Landecker Smith, one of the burglars, and eventually subdues him with a pair of Anderson Hypercuffs but not before Smith is able to force Agent Branks into the penguin pit, where he cracks his skull. Officers are forced to shoot Polanco-G'haart and are able to subdue Smith and Jack Skaldir, the remaining AoA members. All three are placed in a CNC plated police vehicle to dampen their metaphysical edits, and are placed in detainment. 11/6/2017: Interrogation determines that for the past thirty years the AoA had infiltrated various paratechnology firms, along with the murders of multiple Maxwellists. This was for the purpose of both acquiring the highly secret components for their device and to salvage Maxwellist cybernetic implants to build a telepathic network. Combined, these two elements theoretically would have let them achieve their goal of "concept providence" although information on this process has not been revealed by those in custody. The location of the AoA headquarters is also determined, along with specifics into the recovered conceptual device. 11/7/2017: UIU agents break into the AoA headquarters, located on the corner of Avan St. and 7th St., Lime District. A single AoA member shoots at agents, and is quickly incapacitated when shot in the left leg. All eight members present surrender and are arrested, and the building is placed under UIU control for investigation. Multiple handheld conceptual devices have been found, along with several large ones in the basement. 11/9/2017: Interrogation of AoA members has revealed that the shark was an experiment performed by the group to radically modify an entity's conceptual properties, with the intent of future use on humans. Following the experiment's success the entity was released, as the AoA lacked long-term storage methods for it. The aquarium break in was spurred by fears that the UIU would learn how the shark conceptually functions and how to edit conceptual properties, which would hinder future AoA efforts. Additional interrogation suggests that other AoA facilities exist within the Three Portlands. Investigation into this has been started. 1. Quasi-physical conceptual constructs with the potential to define and change concepts. 2. A rare substance similar in appearance and structure to glass, which primarily possesses the concept of having no concept. Conceptuvores are incapable of consuming it, due to the paradoxical conceptual property. Subjects that come onto physical contact with it will experience major conceptual changes and conceptual loss, which results in death. Inanimate objects and materials are not affected.